Survival. 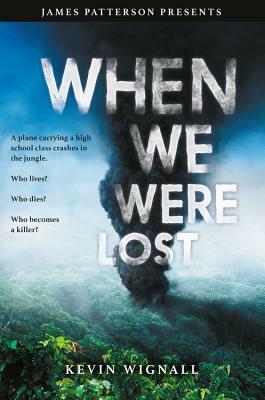 It's a concept these high school students never had to consider--until their plane crashes in a remote rainforest with no adults left alive. With many of them falling prey to threats from both the jungle and man, they soon realize that danger comes in many sinister forms. Tom Calloway didn't want to go on a field trip to Costa Rica, but circumstances had him ending up sitting in the back of the plane--which was the only part that was intact after the crash in the remote South American wilderness. Tom and a small group of his classmates are fortunate to be alive, but their luck quickly runs out when some of them fall prey to the unfamiliar threats of the jungle--animals, reptiles, insects, and even the unforgiving heat. Every decision they make could mean life or death. As the days go by and the survivors' desperation grows, things get even more perilous. Not everyone can cope with the trauma of seeing their friends die, and a struggle for leadership soon pits them against each other. And when they come across evidence of other people in the middle of the rainforest, does that mean they're safe--or has their survival come to an even more vicious end? Kevin Wignall was born in Brussels in 1967 and studied Politics & International Relations at Lancaster University. He's the author of nine adult novels, a number of acclaimed short stories, and several books for young adults.